Happy Monday; or should I say Merry Monday!! 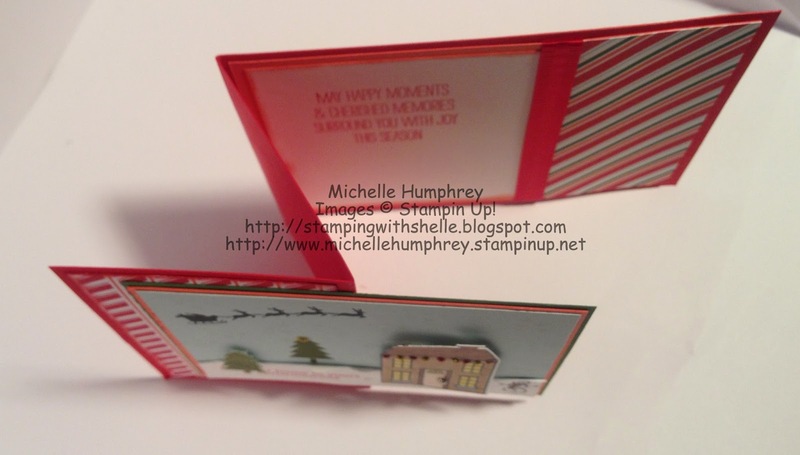 Here is another sample for my upcoming Holiday Stamp-a-Stack. 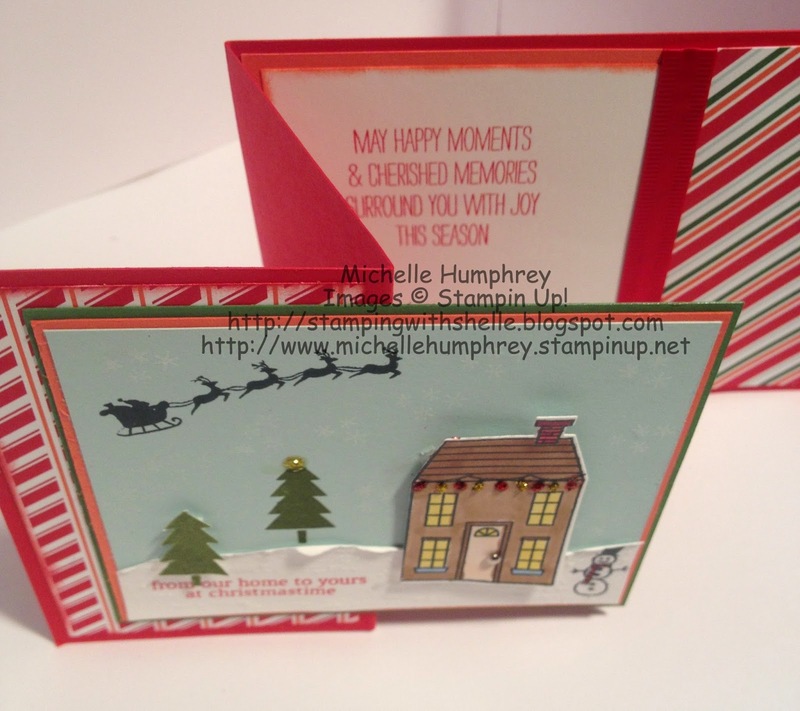 This fun "Z-Fold" card is so much of fun and can be used for any Occasion! 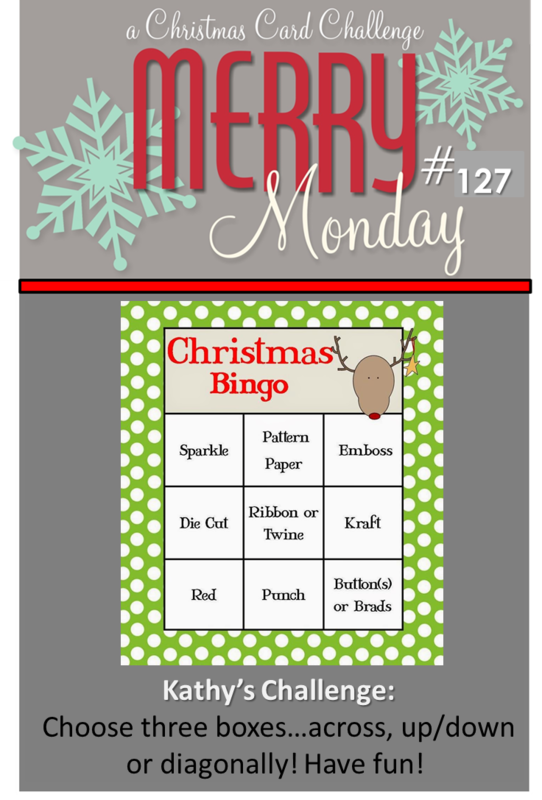 Decided to play along with the Christmas Bingo Game over at Merry Monday blog. The Z Fold is super easy, just cut your cardstock 4 1/4" x 11" -- score along the 11" side at 2 3/4" and 5 1/2". Fold to make the "Z". Hope you enjoy my project! Picture of the card laying "flat/open"
Somebody is going to have fun opening this card! The Z fold is great and I love this stamp set. Super cute card! Just love this card, and I love the fold, it is great!!!! This is such a pretty scene, Shelle! And I love the Z-fold card! Thanks for sharing with us at Merry Monday! 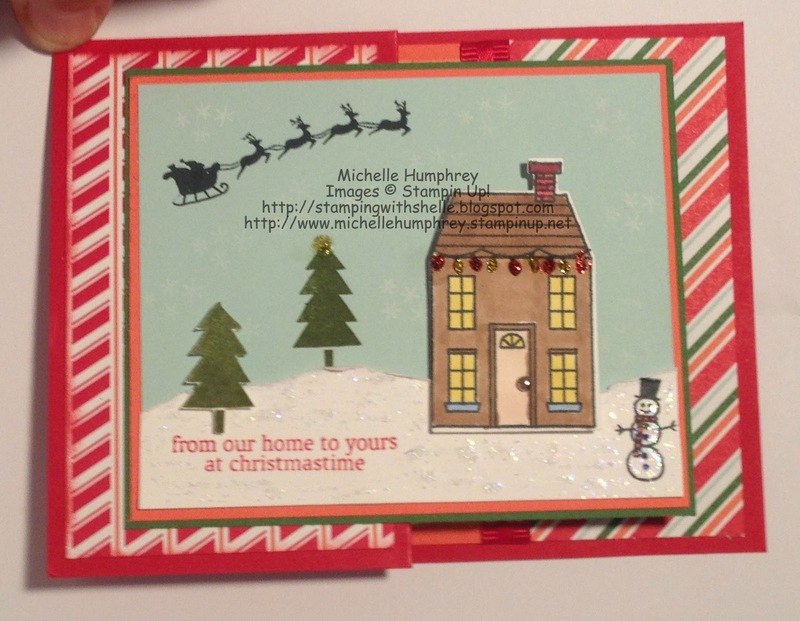 Terrific card fold, Shelle, and I love the fun scene you created! Thanks so much for playing this week at Merry Monday! 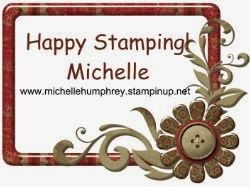 Gorgeous card, Michelle! Love how you colored the house and the little string of lights. This Christmas card is so cute! Thanks for sharing instructions on the Z-fold. I'll have to try it.